I RUN A VARIETY OF SCREEN PRINTING WORKSHOPS FROM MY FOREST ROW STUDIO. MY CLASSES ARE PARTICULARLY SUITABLE FOR BEGINNERS TO GIVE YOU YOUR FIRST EXPERIENCE OF SCREEN PRINTING. OUR FUN CREATIVE WORKSHOPS PROVIDE A WONDERFUL OPPORTUNITY TO COME TOGETHER AND ENJOY CREATING AND WORKING WITH PATTERN AND COLOUR. DURING EACH HALF DAY EXPERIENCE EVERYONE WILL BE ABLE TO MAKE ONE ITEM OF THEIR CHOICE : T-SHIRT, TOTE BAG, TEA TOWEL OR A PIECE OF FABRIC. 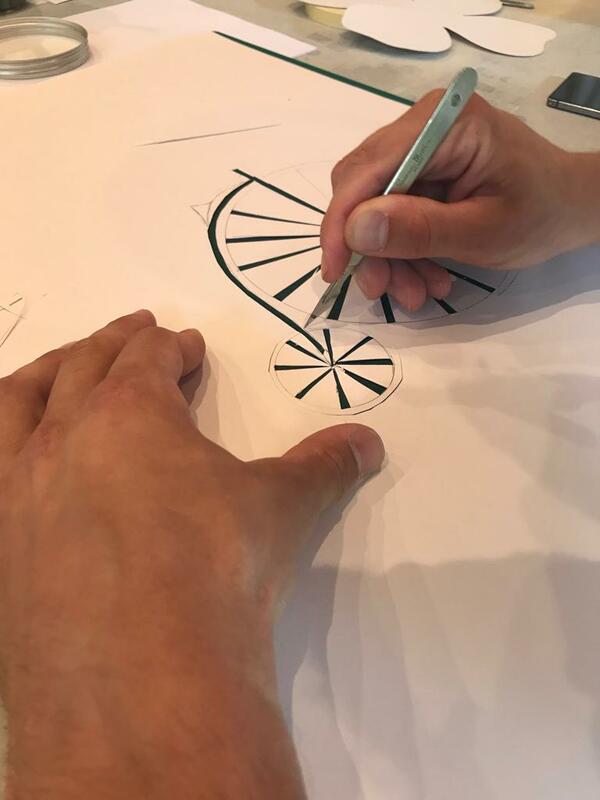 YOU WILL DESIGN YOUR OWN UNIQUE PATTERN, FROM WHICH YOU WILL CREATE A PAPER CUT STENCIL AND LEARN TO TRANSLATE YOUR DESIGN ONTO YOUR FINAL FABRIC PRODUCT. 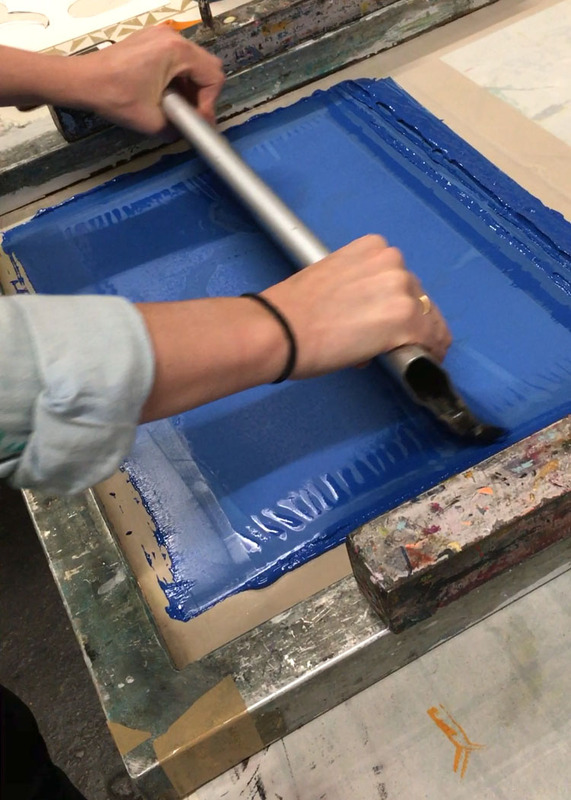 THE SCREEN PRINTING PROCESS IS A HANDS-ON CRAFT FULL OF ENDLESS POSSIBILITIES, TIME FOR PLAYFUL EXPERIMENTATION, EXCITING UNPREDICTABLE OUTCOMES AND THE CHANCE TO LET YOURSELF BE CREATIVE. SATURDAY’S HALF-DAY WORKSHOPS ARE OPEN TO ADULTS AND TEENAGERS (15 UPWARDS). THE COST OF £45 INCLUDES TEACHING, ALL MATERIALS (INCLUDING THE T-SHIRT, TOTE BAG, TEA TOWEL OR FABIRC) AND REFRESHMENTS. WORKSHOPS ARE LIMITED TO A MAXIMUM OF 6 PEOPLE, ENSURING PLENTY OF PERSONAL GUIDANCE. PRIVATE GROUP WORKSHOPS ARE ALSO AVAILABLE – PLEASE ENQUIRE. WALK AWAY WITH A UNIQUE AND SPECIAL HANDMADE CREATION, EITHER FOR YOURSELF OR AS A WONDERFUL GIFT! THESE WORKSHOPS ARE TAUGHT BY LARA GORLACH, FROM HER STUDIO IN FOREST ROW, EAST SUSSEX. LOCATED JUST 10 MINUTES FROM EAST GRINSTEAD, 20 MINUTES FROM HAYWARD’S HEATH AND 30 MINUTES FROM TUNBRIDGE WELLS. PAYMENT IN FULL IS REQUIRED UPON BOOKING A PLACE. TO 14 DAYS BEFORE THE WORKSHOP, A REFUND OF 50% IS POSSIBLE. UNFORTUNATELY, REFUNDS ARE NOT POSSIBLE WITHIN THE FINAL 14 DAYS.